Debby has been on the stage either acting or directing for over 30 years and loves being able to share with her audiences her personal love for theater. Debby formerly was part of three theater companies that toured through out the southeastern and Midwestern United States. 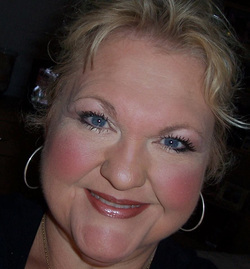 After relocating to Illinois, Debby began doing theater with VCCT in 2008, as well as her work with the Hub City Players. Debby would like to express her gratitude to all the wonderful, and talented actresses in this production and well as the director Will Mingus for his professional contribution and abilities that make her work a pleasure. Debby is most grateful to her husband Steve and son Noah for all their love and support in enabling her to do what she loves to do and she hopes that it shows!